A front is bringing heavy rain to the western South Island today as it moves slowly north. “Milford Sound has recorded the most rain with over 190mm so far since the beginning of Saturday,” says MetService meteorologist Stephen Glassey. The front will move over the North Island on Monday and Tuesday while weakening. Most of the North Island will get some rain with the passage of the front, but eastern areas from Gisborne to Wairarapa should stay mostly dry. 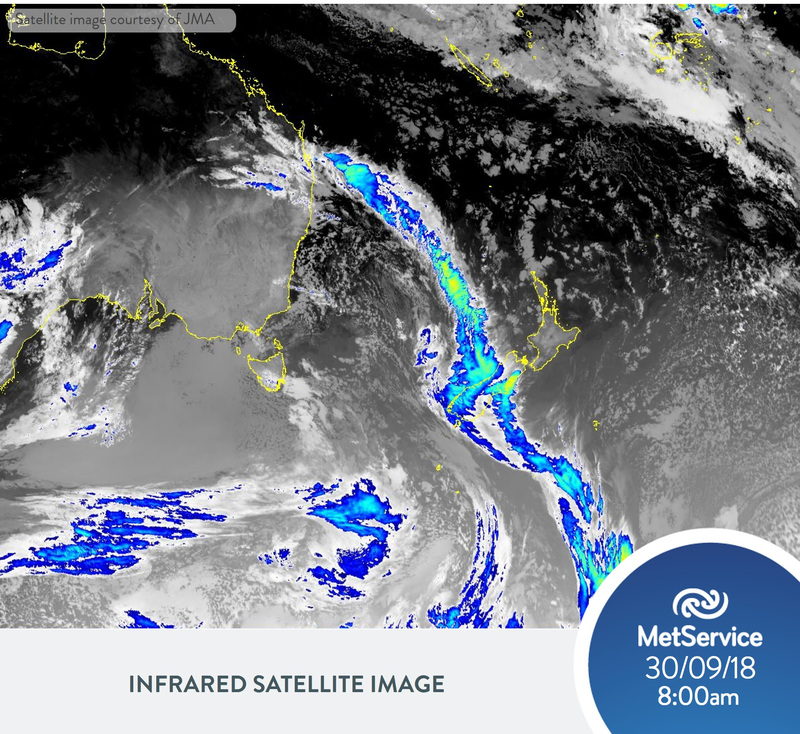 The trend for fronts to weaken as they move northwards continues later this week with another front moving onto the South Island on Tuesday and another one on Thursday and Friday. “Both fronts should weaken considerably by the time they reach the North Island. There should also be plenty of fine spells right across the country between the passage of these fronts,” says Glassey.